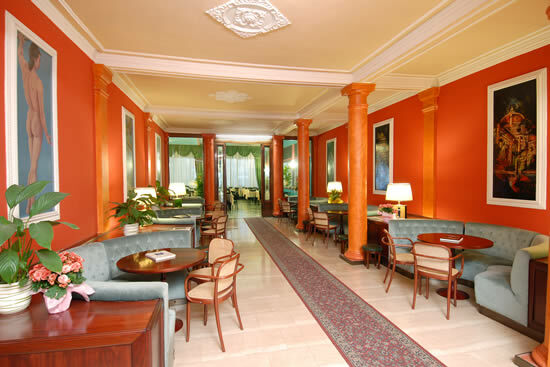 After its renovation, Hotel Minerva Palace presents itself as a four-star hotel with international level comfort and services. 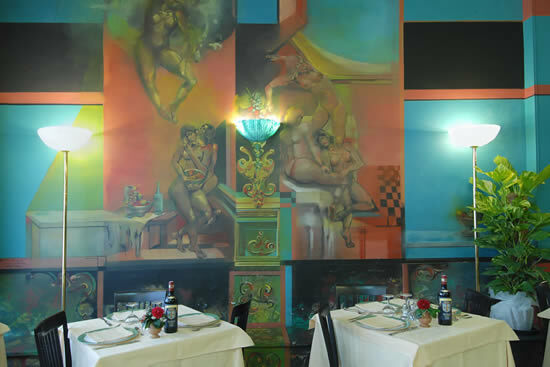 The fresco works by two master painters Alfio Rapisardi e Remo Anitori, are a special signature in the various areas, and bring harmony, atmosphere and value on the thermal or tourist stay of our clientele. 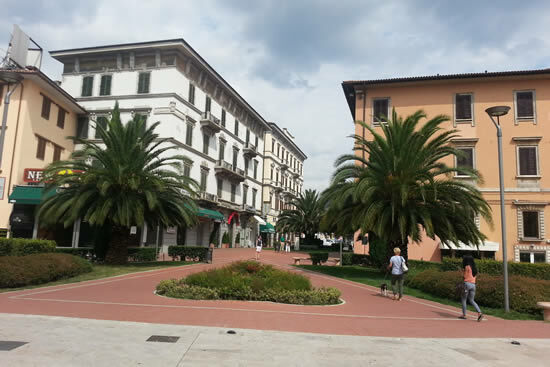 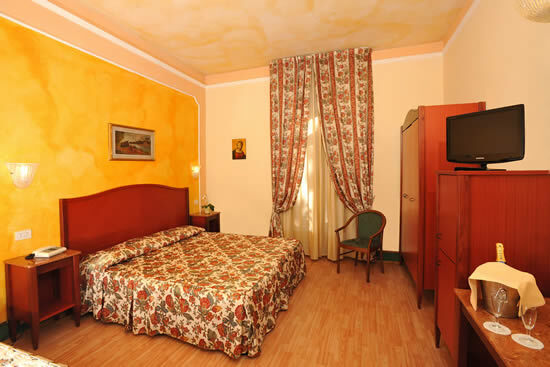 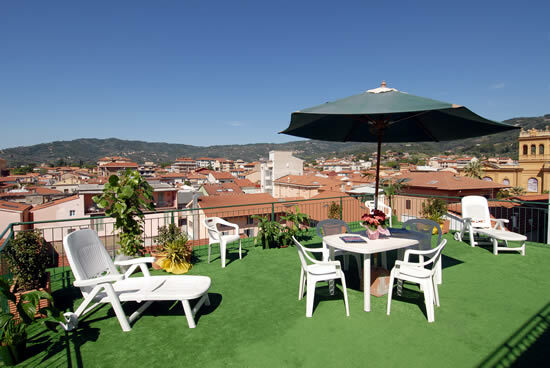 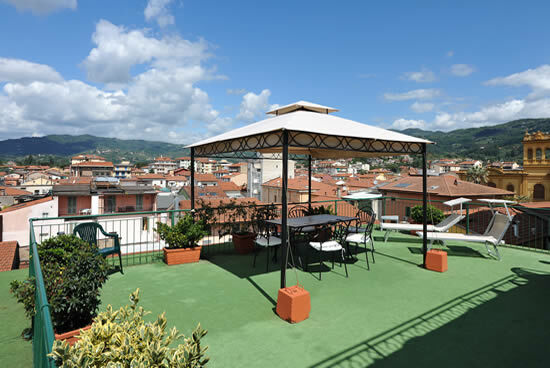 The hotel is located in the city centre, just a few steps away from the main town square Piazza del Popolo, and about 200 mt. 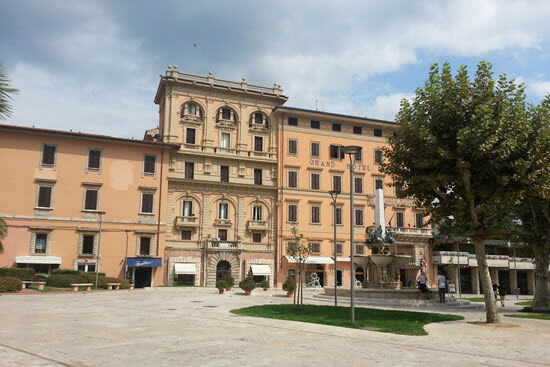 from the railway station.On foot, from here, you can easily reach the various baths. 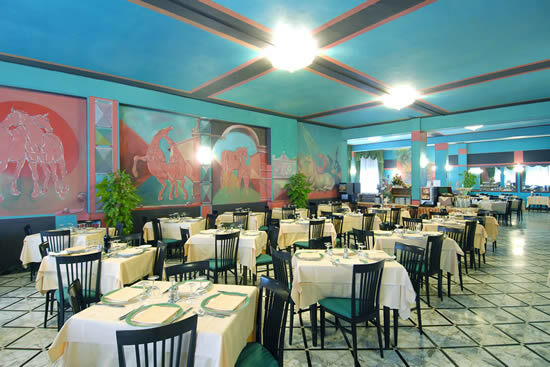 The good Tuscan cuisine and the extraordinary fresco paintings in the dining room, make our restaurant a unique Ambiente.